→Can Dogs and Cats be Allergic to Dust Mites? Can Dogs and Cats be Allergic to Dust Mites? Does your dog or cat seem to be suffering from allergies? Just like humans, household pets are susceptible to a variety of environmental allergies, including dust mite allergies. You may think that the dust floating around your house is only affecting you, but it might also be making your dog or cat perfectly miserable. Is your pet a dust mite allergy sufferer? Read on to find out what dust mite allergies look like in pets and how you can prevent them. Can Dogs Be Allergic to Dust Mites? Can Cats Be Allergic to Dust Mites? The short answer: yes. Dogs, like humans, can have allergies to dust mites. While dogs who live outside aren’t as badly affected as dogs who live inside, all dogs have the potential for dust mite allergies. Your dust mite allergies probably involve respiratory issues, and your dog’s can, too. However, your dog’s allergies might look different. Dogs can also present with skin problems as a response to dust mite allergy triggers. The symptoms of dog dust mite allergies can include bacterial skin infections, itching on the feet and face, ear infections or inflammation, and an itchy red rash with white scales. If your dog’s dust mite allergy becomes very bad, it can morph into an eosinophilic granuloma complex. In layman’s terms, this is a skin condition that includes itchy skin, dog acne, and a pillow foot, which is a disease of the foot pads. Obviously, this is a pretty miserable condition! It’s important to know how to control your dog’s dust mite allergy if you see symptoms start to appear. Read on to learn how! Once you have confirmed that your dog’s allergies are a result of dust mite exposure, it’s time to attack the problem! You can go about this two ways. First, you can give your dog medicines to control the symptoms, but this isn’t the healthiest way to deal with the problem. It’s always best to stick to natural means, if possible, but if your dog is already experiencing severe symptoms, medical treatments methods can relive symptoms much more quickly. If you have to, there are allergy shots and allergy drops available for pets. However, if you catch the problem before it becomes serious, you can fix the problem by controlling dust mites. The first step in getting rid of dust mites in your home is reducing the things that collect dust. Things like drapes, knickknacks, and stuffed animals should be removed or replaced to reduce dust and, naturally, dust mites. 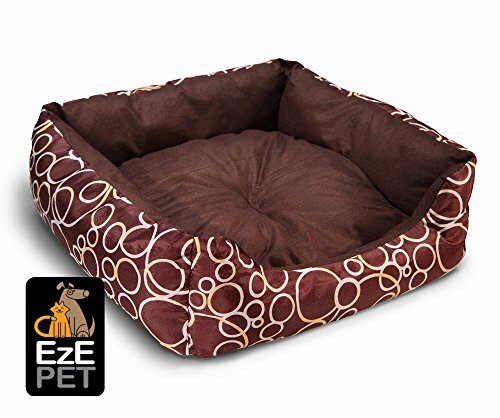 You can also replace your dog’s mite-gathering bed with a hypoallergenic bed that will reduce dust mites and keep your dog happier. Like dogs, cats can be allergic to dust mites. In fact, up to 80 percent of cats with allergies suffer dust mite sensitivities! Since cats tend to live indoors more commonly than dogs do, it is possible that cats suffer from dust mite allergies even more frequently than dogs. If your cat has dry skin, he or she is more likely to have dust mite allergies. While the dry skin may not initially be because of dust mites, these microscopic creatures like to feed on dry feline skin cells. This is why it’s important to take care of environmental allergies in your cat before dust mite problems come into play. Dust mites, however, can also be the cause of skin problems in cats. If you see your cat itching and scratching more than usual, it’s a good idea to get him or her tested for dust mite allergies. Allergic reactions to dust mites can also cause hair loss, crusty skin patches, and other types of damaged skin on your cat. While skin problems are usually the first sign of dust mite allergies in your cat, respiratory problems can also show up. Your cat might gag and cough frequently, or even have a hard time swallowing. If your cat is experiencing these things, he or she is probably feeling pretty miserable! How can you fix this? Keep reading to find out. There are several types of allergies and various conditions that can cause these symptoms in your cat, so have your furry friend tested for dust mite allergies. If the test comes back positive, you can be sure that this is the problem. Once you have confirmed that your cat is indeed suffering from dust mite allergies, you can start to take action and find the problem. While environmental factors will be the most important part of keeping your cat’s dust mite allergies under control, there are also some medical ways to treat your cat. If your cat has already developed advanced skin problems as a result of dust mite allergies, your veterinarian can help you find allergy medicines to help your cat recover. Keeping dust mites from overrunning your home is most fundamental way to help your cat stay allergy-free. The most basic way to do this is by keeping your house clean. Dust regularly, and make sure your carpet is vacuumed frequently. Change your air filters, as well. You can also steam-clean mattresses and carpets to reduce the number of dust mites. Give your kitty a hypoallergenic bed to sleep on, as well. We know you give the same love and care to your pet as you do for everyone in your family! If your dog or cat is having breathing problems and skin issues, the solution may be very simple. Dust mite allergies can take a little bit of work to combat, but they’re relatively easy and inexpensive to take care of. If you tackle the root of your pet’s dust mite allergies, your furry friends will be breathing easy in no time!